Why Should a Business Opt for Development of Mobile Websites? Apr 17, 2013	V-Soft, Inc. 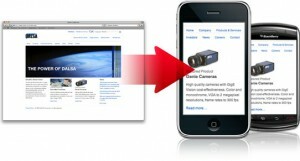 Mobile Website Development	Comments Off on Why Should a Business Opt for Development of Mobile Websites? Today handheld mobile devices are as powerful as the computers. They are much more than the communicating devices and are being preferred for various computing tasks right web surfing to managing of text documents. The tasks which were earlier possible with only on the desktop computers are now easily carried with similar efficiency on mobiles too. Thanks to the advanced form of operating systems which have been introduced for the mobile devices. Some of the popular operating systems or platforms for mobile development at present are Android, iPhone, JavaME, Palm and Windows Mobile. Talking about the mobile development this includes development of mobile applications, mobile game development and development of websites meant for mobile phones. Every development on a mobile now-a-days is being carried out on these platforms. Mobiles developed on these platforms offer better internet access facilities to the users and hence have become the choice of majority of the people across the world for internet surfing. Therefore the need for mobile websites increases. Businesses should opt for mobile website development in order to gain business from the largest widely used media, the mobile phone. They should prefer for mobile application development and mobile website development in order to develop customized mobile applications and websites tailored to their business specific needs in order to promote their business effectively. A mobile website gives easy access to products and services of a company or business to the users so that they can browse with better clarity and convenience just as with a computer. The websites that are developed for PCs may not appear clearly with larger fonts and pictures than the screen. Therefore user experience is very much degraded with such websites. The mobile websites are designed to fit into the handheld devices and therefore offer an improved browsing experience and satisfaction to the customer. The general websites are designed taking into consideration the PC downloading time factors. Therefore these websites may take much larger time download on a mobile phone than on a computer. On the other hand the mobile websites are developed according mobile phone standards in such a way that they can be downloaded easily and fast on a mobile phone thereby reducing the waiting time for the site to appear. This means more browsing and better user experience again. Buying a mobile phone is cheaper than a desktop and hence mobile phones with advanced technologies and internet have become common with majority of the people worldwide. So with a customized mobile website development for business promotion, company can reach out to even those users who do not have access to the computers. An attractive mobile website developed according to business needs can increase revenue for a company by attracting new customers and getting profits for the firm. 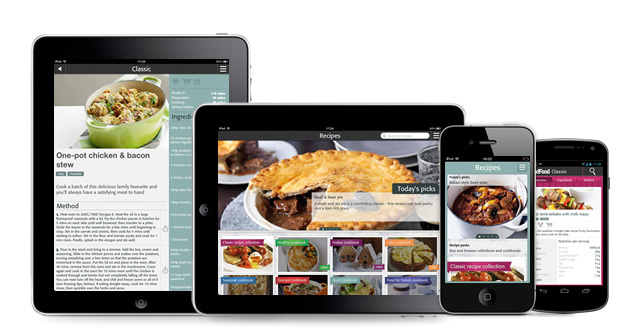 A mobile website presents an innovative and contemporary brand identity to the business. This puts a business ahead of its competitors who are still using traditional methods of ordinary website development. A neat and classy mobile website developed will speak for your business and therefore help in creating a positive impression among the prospects. Mobile website can be accessed by the users from anywhere using the mobile handheld devices by the users. Therefore this allows the users to browse through the business products and services from anywhere and at any point of time. Read more in detail for Development of Mobile Websites. Hence mobile website development can certainly be of great advantage for the businesses as source to increase customer base, brand identity and ROI of the firm. For those looking to develop customized websites for business promotion, V-Soft offers the best services for building attractive and cost effective websites on popular platforms. Services for iPhone mobile website development, Android mobile website development and website development based on Blackberry, Windows, Palm WebOS platforms are offered by the company at affordable price according to the customer needs. This article educates reader about mobile website development and its uses to the businesses.